I have fond memories of seeing The Band From Utopia live in Cologne. Willy was there, and Luc, and Zjakki and Harald, and a bunch of other freaks. Anyway, up for grabs at Zappateers is a rare audience video recording of a Band From Utopia concert in Québec !! Echidna's Arf (Of You)/Don't You Ever Wash That Thing? The new ZpZ album is called "Return Of The Son Of". the program remains archived online at http://www.wmbr.org/cgi-bin/arch for 2 weeks after the broadcast. Don't forget, next week LiLo and the Xtra Xtra Orchestra will be sharing the bill. Featuring members of Yes, King Crimson, Uriah Heep, Curved Air, Roxy Music and Soft Machine, UK was one of the most prominent progressive rock supergroups of the late 70's. The short-lived band got founded in 1978, but Holdsworth and Bruford left after one album, with former Terry Bozzio replacing Bill Bruford on drums. This new line-up released "Danger Money" in 1979 and followed the album with a tour. Once the tour was completed, the band broke up. The posthumous live album "Night After Night" was released shortly afterwards. Several live albums got released afterwards. Both bootlegs and genuine albums. "Live In America" belongs to the latter series. Recorded live in Boston in 1978. Excellent concert. Excellent recording. 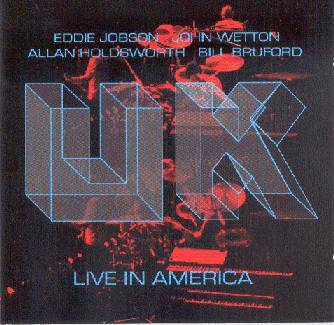 Includes bonus live material from a John Wetton concert on which he played some UK material. A nice addition to the UK discography. I'm listening to it right now. 7:00 pm The Frank Zappa Memorial Day Meltdown makes its annual appearance. night, July 16th with special guest Todd Grubbs opening the show. Doors at 8, show at 9, tickets $10 in advance, $12 day of show. This is gonna smoke!!! Jerry Outlaw & friends will play Skipper's Smokehouse on Sunday afternoon, July 25th. Doors at 4, show at 5, tickets $10. A Skipper's show in July should prove to be a moist, steamy affair. Zappaween 15 this year at the State Theatre on Saturday, Oct 30th. Friday May 28th 7-10pm then 11:30 PM -3AM. BTW, for those of you who missed the show several weeks ago at Skippers, it cooked! Zappa, Jeff Beck, Mahavishnu, Hendrix, Jerry originals and some fun stuff like Frankenstein by Edgar Winter and Hocus Pocus by Focus. Jerry Outlaw and Friends is as entertaining as the Bogus Pomp line-up. Hazmat Modine will be performing at 'Het Patronaat' in Haarlem, NL, later today. Support act will be Red And Blues, featuring Annemarieke Schoonderwaldt on violin. Annemarieke (aka Ke) recently joined Zappatika, and will be performing at Zappanale in a couple of months. and Hazmat Modine sounds pretty good as well. 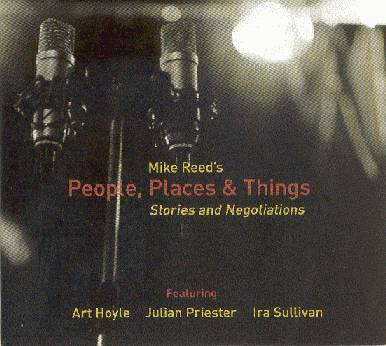 Somewhere in 2007, Mike Reed started his tribute series to the Chicago jazz, blues and improvised music scene from 1954 to 1960. "Proliferation", released in 2008, included a number of compositions from that period, as well a couple of originals dedicated to that era. "About Us" was the second installment of the series. Mike Reed invited three influential members of the Chicago jazz community to participate in the recording. As a result, David Boykin, Jeb Bishop and Jeff Parker guest. "Stories and Negotiations" is the final album in the trilogy. This time the ensemble is joined by three vintage Chicago masters: trumpeter Art Hoyle, tromboninst Julian Priester, and tenor saxophonist Ira Sullivan. Needless to say that this series is essential listening for everyone who wants to learn more about the Chicago jazz scene. & it comes as no surprise that two of these albums include Sun Ra compositions. "Here's a full length recording of the music used as the "walk in" music during the Talking Light tour. When the audience arrived at the theater and entered the performance area, they were greeted with this music (assuming the show hadn't started already). Needless to say (and we'll say it anyhow) that this is more instrumental, moody music, and apparently the title comes from a memorable rest stop in Texas during the most recent tour." The music is great! Instrumental, and oh so dub remix Residents. The last five hours of the WKCR Sun Ra radio special made it to the Night Of The Purple Moon blog. This week, Dwalmacat presents a selection that was compiled by Luc Van Aker. The "Free Classical Guitars" collection presents 8 artists who perform one (or more) free, experimental pieces on a nylon acoustic guitar. I find the idea quite fascinating. When I think of performing improvised music on a solo instrument, a piano immediately comes to mind. Or a saxophone. Or even an electric guitar. A nylon string classical guitar does not seem the obvious choice. The pieces that you can find on this album search for the boundaries of the acoustic guitar. It's a collection of sounds, from silent and soft playing and percussion to distorted space noises and loops. Improvised music at its best. Did you know that Ike Willis did some acting? and he played a gangster in "Crime Killer", a 1985 movie. May 28 & 29, the Mats/Morgan Band will be doing a concert at 'Le Triton' in Paris, France. Next Sunday afternoon, Amsterdam will be the place to be, as Corrie van Binsbergen unleashes her Brokken Namiddag at 'Zaal 100'. 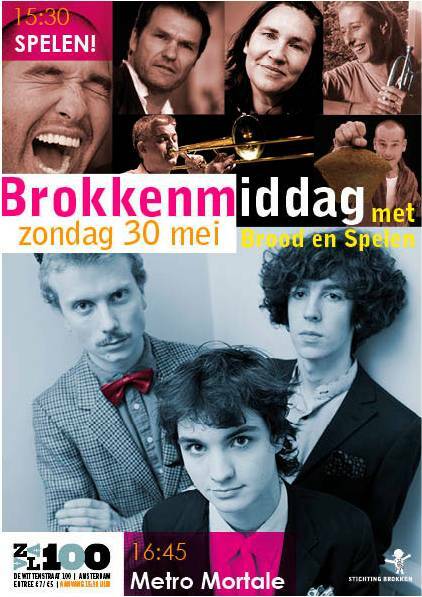 It'll be the last Brokken Namiddag for this season. Two concerts (and one suprise act) have been scheduled. The first concert will feature Joost Buis, Felicity Provan, Hans Hasebos, Hein Offermans, Corrie van Binsbergen, and Yonga Sun. The second concert is by Metro Mortale, a poppy trio. The famous Captain Beefheart "Diddy Wah Diddy / Who Do You Think You're Fooling?" U.S. stock copy exists in two versions. the second one credits it to A.Christensen. JIM COX'S "FRANKIE'S IN TOWN"
The first time I heard "Frankie's In Town", was on a Steve Vai vinyl bootleg. At the time, most of us thought that it was a Steve Vai song. Among the new Cuneiform releases, one title takes us back to 1973. May 17, 1973 to be exact. We're talking Soft Machine in their "Seven" line-up: Mike Ratledge, Karl Jenkins, John Marshall and Roy Babbington. And they're performing a live concert in Hamburg, Germany. At the time, the concert got broadcast on German television, on the "NDR Jazz Workshop" show, and that's exactly what you get here: a quality recording in both audio and video of a quality concert. Plus some bonus stuff, of course. 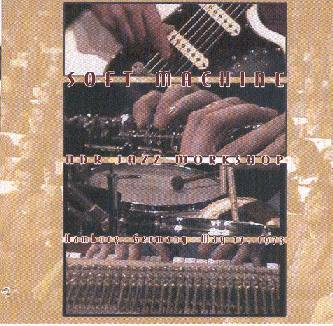 If you're into Soft Machine, this is your thing! Friday, May 21, 2010, a Frank Zappa article & picture appeared in De Volkskrant, a Dutch newspaper. 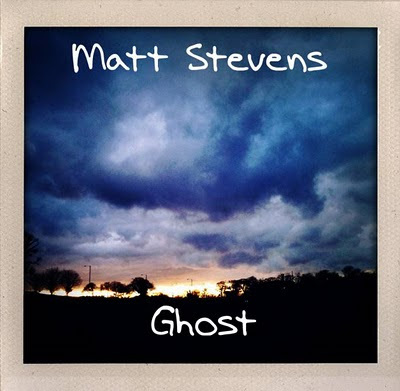 It's about Zappa's 'Outrage At Valdez' and links it to the current BP disaster in the U.S.
UK guitar player Matt Stevens is about to release his second album in a couple of weeks. Instrumental stuff. Acoustic guitar with loops & effects. 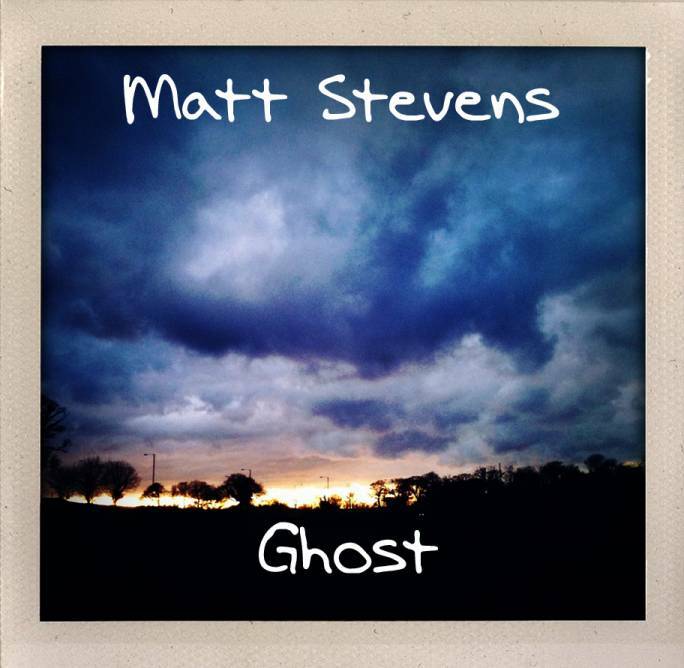 Matt make his music available on a 'pay what you want download' basis. The Sun Ra All Stars 5 CD set that was issued by Transparency in 2008 has been reprinted. The Sun Ra "Live At The Horseshoe Tavern (Toronto 1978)" box has been reprinted as well. Previously available as a homemade 10 CDR-set, the box has now been reprinted as a factory pressed 10 CD set, including a 12-page booklet. MATS/MORGAN BAND:: THE MUSIC OR THE MONEY?? Jazz and prog rock musician Geoff Leigh might be known to you as one of the members of legendary experimental rock group Henry Cow. 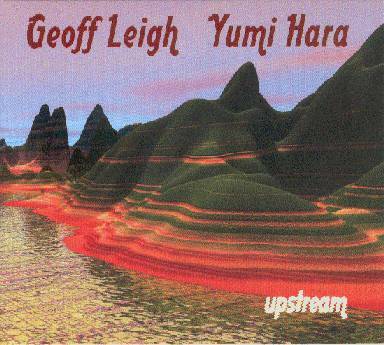 On "Upstream", Geoff Leigh joins pianist and vocalist Yumi Hara Cawkwell. The result is a fine album on which the performers move from floating soundscapes to improvised energy bursts. The album starts rather calm with 'Upstream' and 'The Mountain Laughs'. It's with the next two tracks, 'The Strait' and 'Stone Of The Beach', that the album takes a turn towards the more experimental sounds. It's Yumi Hara's piano playing, and especially her singing that explores and searches. Another impressive MoonJune Records release. is a theater / musical project by Josse De Pauw and Corrie van Binsbergen. And it features Michaël Borremans. The piece had its premiere in Brugge, Belgium, last week. It will be performed at various locations in Belgium and The Netherlands throughout the year, so check your schedules!! Looking at the venues and at the participating musicians, I will probably try to see it more than once. Added a picture of the 7" box that Jazzman Records is releasing to the United Mutations Files. Crossfire Publications released the two final volumes of demos and rarities from The Buff Organisation. Inventor, engineer, artist, composer, arranger and multi-instrumentalist, Paul Buff was a key player in an early turning point not only in FZ's career, but surf music in general, and the nature of the recording industry itself. The Buff Organization: Demos & Rarities, Vol. 2. The Buff Organization: Demos & Rarities, Vol. 3. "So Very Mats" is the brand-new Mats Öberg album. Besides Mats, the trio consists of Filip Augustson on bass, and Sebastian Voegler on drums. The title of the album is very well chosen. "So Very Mats" is a very diverse album, but Mats Öberg's style and sound is very recognisable. Whether he plays the grand piano, his keyboard, an organ or an harmonica, this is the music of Mats Öberg. I like this very much. Great compositions, and a great trio. Contemporary jazz at its best. I just finished cutting and pasting all the info from the latest Crossfire Publications release into the United Mutations Archives. Zappa freaks will be happy to learn that "Volume 6", among other gems, features an unkown Frank Zappa composition. Performed by the Pal Studio Band !! 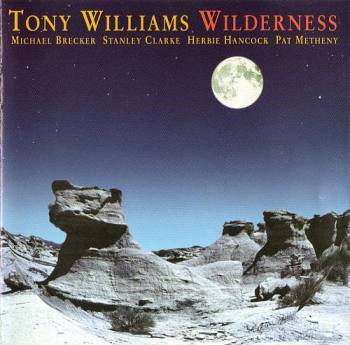 Jazz drummer Tony Williams' 1995 "Wilderness" album features a number of Zappa allumni. There's Michael Brecker on tenor sax, Walt Fowler on trumpet, Earle Dumler on oboe, and Bob Zimitti on percussion. In 2002, Dutch writer Toon Tellegen wrote the book "Brieven Aan Doornroosje" ('Letters To Sleeping Beauty'). It's the story of the prince who, while searching for Sleeping Beauty, writes her a letter every day. 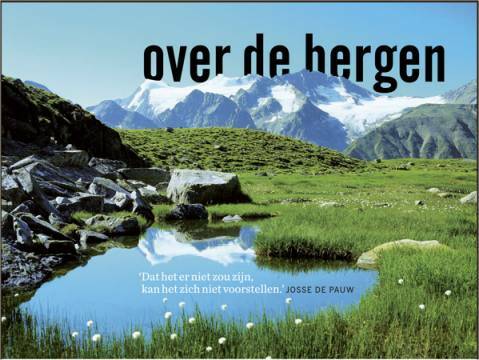 Next year, Corrie van Binsbergen & Toon Tellegen will be performing the book as a radio play. Told by Hans Dagelet & music written & performed by Corrie van Binsbergen. 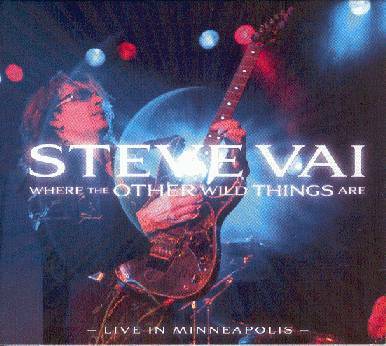 Initially available as a download-only bonus album with the pre-order of "Where The Wild Things Are" in 2009, the "Other Wild Things" album has just been released on CD. Oggi offro da bere a tutti, anche Dwalmacat, uw wekelijkse float-, sit- and jumpcom. DAVID THOMAS & THE PEDESTRIANS – Who is it? recordings from WKCR’s archives as well as live special guest interviews with Marshall Allen, Director of the Sun Ra Arkestra, and Arkestra members of the past, present and future. Born Herman Poole Blount in Birmingham, Alabama on May 22, 1914, he was nicknamed Sonny from his youth. He later abandoned his birth name and took on the name and persona of Sun Ra (“Ra” being the name of the ancient Egyptian god of the Sun). He did not consider himself “born”; rather, he “arrived” on the planet, entering via Birmingham. 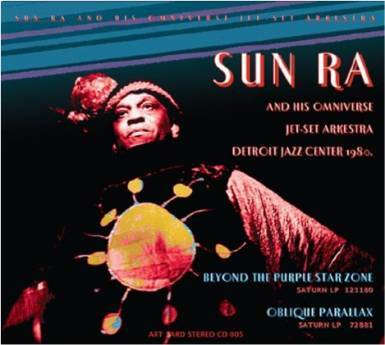 From the ‘50’s to the ‘90’s Sun Ra led a large ensemble with a fluid lineup under a variety of names: The Solar Myth Arkestra, The Intergalactic Space Research Arkestra, and many others. Sun Ra departed on Memorial Day – May 30, 1993. 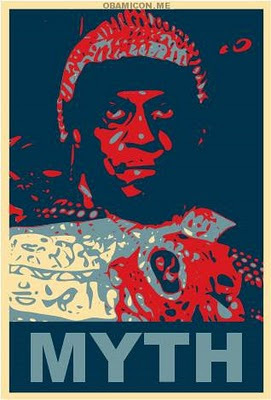 Sun Ra's prolific achievements on Planet Earth have been widely acclaimed and recorded in documentaries, books, and a feature film titled "Space is The Place". He founded his record label, El Saturn Records, in the 1950s, and proceeded to unleash nearly 200 fiercely individualistic and extremely diverse albums on an unsuspecting and largely unprepared public. He also recorded for a handful of major labels, and he attained widespread notoriety from his legendary concerts, radio, and television appearances. His interstellar musical, poetic, linguistic, and spiritual explorations are unparalleled in the history of modern music and culture. The broadcast will begin with a variety of great Sun Ra sounds to warm up this event. The Daybreak Express show will feature Sun Ra's performances of standards, ballads, and show tunes. Fletcher himself once gave up his own piano chair to Sun Ra. Sun Ra wrote charts that Coleman Hawkins had difficulty playing. Monk was impressed, too. Our morning Classical show will present Sun Ra's solo piano recordings, including an exclusive performance at WKCR in July 1977. This segment will also incorporate Sun Ra's extensive poetic works. Phil Schaap will shine the spotlight on Sun Ra's elemental work from the later 1950's. Following this segment, we will shift into a survey of the very earliest recordings of Sun Ra, arranging for singers and performing as a sideman. Phil will be joined by a panel of scholars and band members, presenting the rarest of Sun Ra sides. 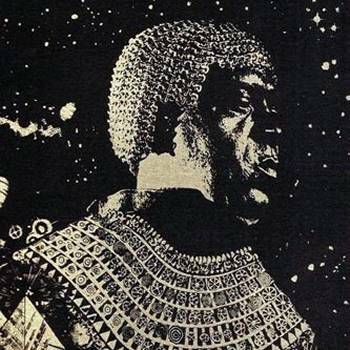 The synthesizer and abstract works of Sun Ra. Tune in for some of the most adventurous recordings of Sun Ra's career. This segment will include both solo synthesizer performances as well as those with an ensemble. The evening segment is expected to be the highlight of the marathon. We will play live recordings and interviews, with visits from special guests and a focus on materials from WKCR's own “Arkives”, as well as a collection gathered by The Sun Ra Institute. We will take some time to honor the current living-and-breathing Sun Ra Arkestra, under the masterful direction of Marshall Allen, and celebrate Marshall’s 82nd birthday a few days early. Stay tuned for extra features in the works, including remote broadcast from the Sun Ra House in Philadelphia. This hour will give a closer look at Sun Ra's work with vocalists, including his R&B and Doo-wop efforts. ZAPPATiKA will play one concert in Paris this summer. The date Saturday 26 June. See you there for a great evening of musical debauchery and on stage lunacy ! Today's discovery is called The Syllable Section, a Chicago based band that puts psychedelic effects and experimental sounds in their poppy tunes. This Friday, Volume 6 of the Pal/Original Sound series will be released via CD Baby along with Volumes 2 and 3 of The Buff Organization's "Demos & Rarities." That completes the Buff Organization catalogue. There are three FZ-related tracks on Volume 6: The Pal Studio Band's "Waltz," the Aerni/FZ production "Big City Surfer" by The Rhythm Surfers, and the single mix (with a countoff) of The Hollywood Persuaders' "Grunion Run." 22 Ashwin Street, Dalston, London E8 3DL. "Mats / Morgan Band: The Music Or The Money"
"Soft Machine: NDR Jazz Workshop"
Episode 380 will bring you some audio enjoyment. Gianfranco Tedeschi's Quintetto Rosso did a radio concert for Rai radio on 2010/04/02. One of the pieces included various Frank Zappa themes. The concert got broadcast on Italian radio (and is being seeded on DimeADozen by survivor69). I guess you know about ZpZ, and even about DZpZ. But do you know FpZ? It's Swiss band Fido Plays Zappa, and they have a concert scheduled. On May 22, the band will be playing at the Konstanzer K9 in Basel, Switzerland. Furthermore, FpZ is working on an acoustic album. July 2009, Marshall Allen, Matthew Shipp and Joe Morris took the stage at the Roulette jazz club in New York City. A recording of this concert has recently been released by RogueArt, a french jazz label. Marshall Allen is featured on alto sax, flute and on EVI, his fabulous electronic valve instrument. His improvisations are, as always, very impressive. He's looking and searching. Always in control. Relaxed. Travelling. Out There. The interaction with Matthew Shipp (piano) and Joe Morris (double bass) is impressive. They're clearly listening to each other. Taking the same path. In different vehicules, but on the same journey. "Night Logic" is a very impressive album. It's a fine example of how beautiful free jazz or improvised music can be. The liner notes summarize: "Yet there is a logic to night, it being the only path that allows us to view those stars nakedly & these musicians have surely taken us closer toward that path". 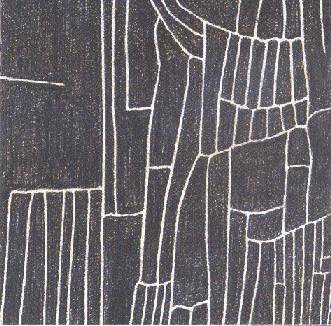 May 18 will see the official release of the new Claudia Quintet album on the Cuneiform label. For those of you who can't wait, or who want to check out the album in advance, NPR is providing an Exclusive First Listen. Evan Parker, Barry Guy and Paul Lytton did a gig at 'De Singer' yesterday. As Rijkevorsel, where 'De Singer' is located, is only about 15 km from my home, I had to be there. This is the riff heard﻿ on Zappa's "Tryin' To Grow A Chin" ! Released on 7" on Paul Buff's Emmy label. Moserobie is a Swedish independent jazz label. 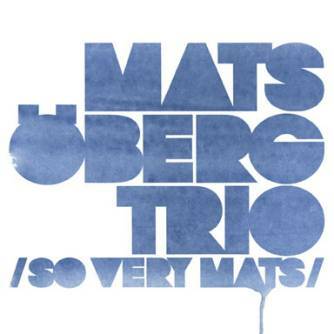 They recently released an album by the Mats Öberg Trio, entitled "So Very Mats". It has only been a couple of weeks since I talked about the impressive "Inspirations Information 3" album where Mulatu Astatke teamed up with The Heliocentics. A 2009 release. Brand-new is "Mulatu Steps Ahead", on which Mulatu shows why he is considered a musical innovator. His mix of 60's jazz, latin rhythms, ethiopian afrobeat and eastern music scales is quite overwhelming. 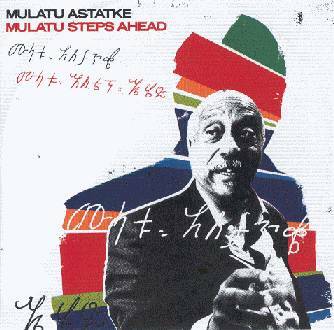 On "Mulatu Steps Ahead", Mulatu Astatke combines beautiful melodies with a hypnotic groove, including polite nods to a couple of well-known jazz riffs and phrases. It may sound as a cliché but you can hear that Mulatu Astatke was born in Ethiopia, got his musical education in London, went to the Berklee College Of Music in Boston afterwards, and that he has experienced playing and performing with some great jazz musicians. Great solos as well. Mulatu on vibes, and Byron Wallen (wow!!) on trumpet!! "Frank’s ‘buxom red-haired companion’, Lorraine Belcher, has written a review of Nigey Lennon’s book, Being Frank at http://www.punkglobe.com/frankzappabookreview0510.html. And I have just interviewed her for this here website. " and ArtYard is releasing Beyond The Purple Star Zone together with Olbique Parallax. “The possible has been tried and failed. The intergalactic messenger Sun Ra showed us how, with imagination, commitment and a love of beauty, one can create one's own future and make the impossible real. We hereby dedicate MAY THE 22nd as IMPOSSIBLE DAY on Planet Earth. This is our day to raise the bar, the day to challenge our preconceptions of ourselves and surpass them, this is the annual renewal of our resolve to step beyond our limitations and reservations and become more than who we were, a day to be that tiny bit greater than who we are. Sun Ra arrived here via the planet Saturn on a date that cannot be revealed "because of its astrological significance - the stars were set in a position where a spiritual being can arrive" Researchers have suggested an Arrival Date of May 22, 1914, although this remains unconfirmed. While he sometimes went by the name of Herman "Sonny' Blount, he also used the name Sonny Lee and claimed a surname of Arman; for approximately 40 years he was known as Sun Ra, one of the most astounding visionaries in twentieth century music. Thursday, August 5, 2010, Captain Cheese-Beard will be performing at the Magiq Mirror Tent in Antwerp, Belgium. This week, Willy wanted to point the spotlight towards Zappa's Berlin 1978 show, and more specific to the great guitar solos that were played that night. And from the same Berlin show: "So there's your " ieeeeeeeeenglish popstar" Zappa is talking about in his beautiful introduction on" I Have Been In You "on the Berlin Deutschlandhalle on 15 02 1978." the Grandmothers are in Brazil !! Da lendária Mothers of Invention, uma das mais controversas bandas da história do rock do final dos anos 60, surgiram os músicos Roy Estrada, Don Preston e Napoleon Murphy Brock que executavam uma música completamente inovadora que explorava desde música clássica, Doo Wop, Jazz , ruídos esquisitos e dodecafonias, sob a batuta de seu criador, o polêmico músico, compositor e provocador Frank Zappa. Passados quase 30 anos do final dos Mothers, os ex-membros foram convidados para celebrar a música de Frank Zappa em Leipzig, na Alemanha. 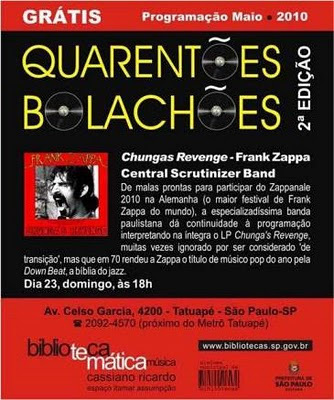 Após seis meses de ensaios, o grupo voltou a toda interpretando clássicos dos Mothers, entre eles Freak Out, We´re Only In It For The Money, Roxy & Elsewhere, Uncle Meat, Absolutely Free, One Size Fits All e também Baby Snakes, Zoot Allures, Waka/Jawaka, The Grand Wazoo, Bongo Fury e Sheik Yerbouti. E é essa banda, com essa mesma formação, que se apresenta no Inferno Club dia 13 de maio. 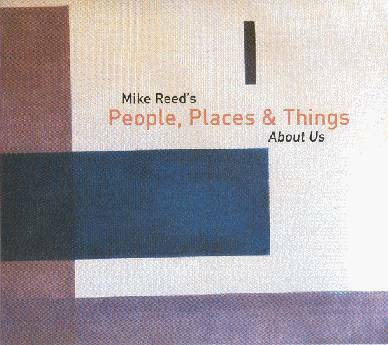 Chicage-based drummer and composer Mike Reed has been focussing on jazz in Chicago in the late fifties with his People, Places and Things quartet. The band has three albums out on which they also perform Sun Ra material. Well, at least on two of these albums. 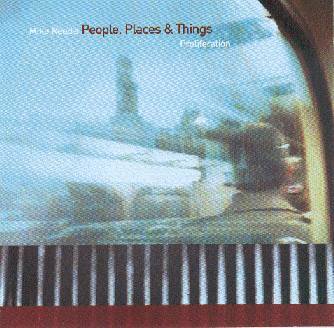 There's a couple of concerts by the Mike Reed's People, Places and Things band over at Dime. From radio broadcasts. Give it a listen. After having toured and recorded with Buddy Miles and with Earth Wind and Fire, André Lewis joined Frank Zappa's band. The years after his work with Zappa, André recorded three funk albums for Motown as Mandré. Later, he worked with Johnny Guitar Watson. And now, Mandré, has a new album out. It's entitled "4" and it's out on the Rush Hour label. Available on CD, LP and as download. After some months of rehearsing with a whole bunch of new players-a violinist (Ke),2nd Drummer (The Sarge)and 3rd Guitarist (Daddo), the new 9 piece ZAPPATiKA line up will hit the road,for the first time,in June 2010 and promises to deliver some 'dynamite shows' ! With a warm up gig in early June in Holland and then probably straight to Paris in the third week of June and then back to Holland and on to Germany ,for the 21st Zappanale festival, and then a couple of weeks off and on to Italy,the band plans a busy Summer ahead - they will be cranking lots of Frank of course, but also blasting off a whole bunch of their own very alternative little numbers ! Friday, July 23, 2010 at 7:30 p.m. The BSO celebrates two of Baltimore’s most celebrated native sons, composers Frank Zappa and Philip Glass. From his early work with the Mothers of Invention to his classical, rock, jazz and electronic compositions, Zappa is revered for the complexity and versatility of his music. Hear his own great orchestral versions of classics such as “Be-Bop Tango” and “Dupree’s Paradise”. Marin Alsop and the BSO also perform Philip Glass’ Heroes Symphony based on the David Bowie classic ‘70s album, and introduce Baltimore beatboxer, Shodekeh, in a unique collaboration of vocal drumming pyrotechnics with orchestra. "hhmmm....not really sure how or why,......but recently our humble little Myspace page has, quite simply, exploded with daily increases over recent days in site visits and music plays, which are now bordering on the ridiculous ! .....just hope that they all enjoy what they hear and that they all send us a dollar right away! Frank Zappa/ Paul Buff Super Rarities, Unreleased Tracks Abound on Crossfire’s Pal/Original Sound Studios Series! 5/7/2010 - Floral Park, NY - Crossfire Publications is in the process of releasing a 20-volume series of recordings from the pre-Mothers era, with many unreleased tracks featured. The most notable releases in the series come from Paul Buff, owner of Pal Studios in Cucamonga, California from 1957-1964. The initial six releases took place in March: The Bongo Teens' "Surfin’ Bongos" (mono and stereo), The Hollywood Persuaders' "Drums A-Go-Go" (mono and stereo) and "Singles &Rarities," and "Raw Tracks" featuring both groups. The Bongo Teens featured Buff and fellow Pal associate Dave Aerni (lead guitar), while Buff played nearly all the instruments on the Hollywood Persuaders releases. Crossfire's mammoth series is called "Paul Buff Presents The Pal And Original Sound Studio Archives." At Pal, Buff recorded numerous artists, with The Surfaris' "Wipe Out" as the studio's most known recording. Many other notable artists, including the late Frank Zappa, recorded their earliest work at Pal Studios. "Paul Buff Presents The Pal And Original Sound Studio Archives" will have many highly prized rarities and unreleased tracks drawn from Paul Buff's mixdown tapes and reference discs. The original records represented in the series literally cost hundreds of dollars a piece, reflecting the impressive historical and musical value of Crossfire's series. When the studio was not booked for artists on Buff's record labels (Pal, Emmy, Yukon, Plaza and Vigah! ), a rotating crew of musicians, The Pal Studio Band, regularly laid down tracks with the hope of placing them with major record labels. The band featured regular appearances by young guitarist Frank Zappa, who learned recording studio operations from Paul Buff. Records cut by Buff and guitarist Ronnie Williams were issued on Buff's in-house Emmy label as by The Masters, with one track ("Breaktime") featuring overdubbed guitars by Zappa and Williams. Other releases with Zappa involvement from this period include The Penguins, The Hollywood Persuaders, The Tornadoes, Ron Roman, Baby Ray And The Ferns, Brian Lord &The Midnighters, Mr. Clean, The Heartbreakers, Ned And Nelda, Bob Guy, Conrad And The Hurricane Strings, The Cordells, The Rhythm Surfers and Johnny Barakat And The Vestells. Over a half dozen unreleased titles with Zappa as part of The Pal Studio Band will be covered in the series along with the aforementioned singles. Concurrent with his Pal activities, Paul Buff started working with Art Laboe, owner of Original Sound Records. After the sale of Pal Studios to Frank Zappa in August 1964, Buff became Original Sound's studio engineer. Besides recording many Original Sound artists, Buff made his own recordings for the label. 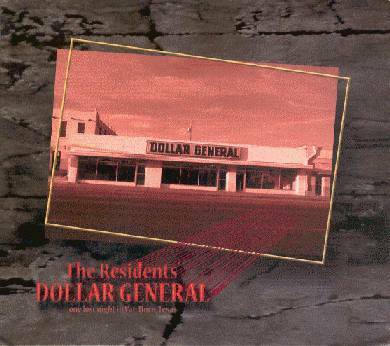 This output started in 1963 as The Hollywood Persuaders, followed by The Bongo Teens, The Rotations, The Midnighters, Mr. Clean, The Catalinas, Lori Allison, The Buff Organization, The Friendly Torpedoes (with The Music Machine's Sean Bonniwell) and Ricky Dean. Non-Original Sound clients, such as the entire output of the All-American label (known for Strawberry Alarm Clock's "Incense And Peppermints") as well as Sugarloaf ("Green Eyed Lady"), were engineered by Buff. Three volumes in the Pal/Original Sound series have been released thus far. All in all, 35 albums from Paul Buff’s collection will be represented. In addition to the 20 Pal/Original Sound volumes and the six previously released Bongo Teens and Hollywood Persuaders titles, the following will be released: "Singles &Rarities" by The Masters, five albums of unreleased late '60s tracks by The Buff Organization, a 25-track collection of cuts from Dave Aerni's labels, and two volumes of big band recordings ("Paul Buff Presents Pal Studios' Early Years"). Releases will take place every other week for most of 2010. All of these Crossfire albums will be available through dozens of paid download services. Licensing inquiries for CD release are also being entertained. Adress: Av. Dom Pedro II, 86 / Showtime: 9:00pm. A banda original de Frank Zappa, com membros originais dos The Mothers of Invention tocando os grandes clássicos dos anos 60 e 70. Area was one of the most important bands of the Italian progressive rock scene in the early seventies. In 2010, Patrizio Fariselli, Paolo Tofani, and Ares Tavolazzi reunited for a performance at New York's Brecht Forum, accompanied by Italian session drummer Walter Paoli, and former collaborator Mauro Pagani on violin and vocals. The performance included their version of Frank Zappa's 'King Kong'. This 16 minutes and 24 seconds of King Kong include improvisations by the complete band. A nice way to end a concert. 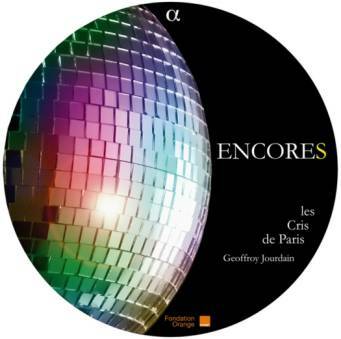 French a capella choir Les Cris De Paris is noted for its commitement to new works. The choir also has been in the habit of ending its concerts with an encore that, in principle, has nothing to do with the world of classical music. The choir has thus built up a unique and multifaceted repertoire. This original intitiative has resulted into "Encores", and included a the choir's rendition of Frank Zappa's 'Peaches En Regalia'. Nice. And not just the Zappa composition. Good choice of tunes also. "Stefano Bollani and his Danish Trio were announced as openers for the "Il Cartellone - Radio3 In Festival", but they cancelled last minute because stuck in Iceland or somewhere over there due to volcano ashes; so their place was taken by Guerrini's cohorts, for a lively and modern jazz set, with a hint of Zappa, coming out not just beacuse of the marimba"
And that was reason enough for me to check out. CIRKO GUERRINI performs instrumental, modern jazz, with lots of room for improvisations. And yes, Survivor 69 is very right. There are a lot of interfaces with Zappa's music. The ensemble has one CD out on the Giotto Music label. "The actress and performance artist Ann Magnuson is also the lyricist for Bongwater, and her co-conspirator is the producer and noise-slinger Kramer. Bongwater piles up junk-culture references, funk basslines, heavy-metal fuzztone guitars and a general air of free-floating anarchy; the band takes nothing seriously, including its own irreverence." Bongwater performed Frank Zappa's 'Willie The Pimp' in concert in 1991. A recording recently turned up at DimeADozen. A recordings of this gig recently turned up at DimeADozen. "Under Influence" is a new documentary film that includes reviews on the man's music and interviews with writers, musicians and producers that are linked to Tom Waits. It features Moris Tepper and John French, which makes it food for Captain Beefheart freaks as well. Record producer and musician Kim Fowley was part of the L.A. music scene in the early sixties. He is credited on The Mothers' "Freak Out" album as part of The Mothers' Auxiliary. In his own words, he was part of The Mothers at one time. Anyway, Kim Fowley's 1975 album, "Animal God Of The Streets" has been reissued on 180 g vinyl by Vinyl Lovers. "Zapmospheres" has French guitar player LiLo performing the music of Frank Zappa solo on electric guitar. It will be the opening set for this year's Zappanale Festival, Friday at noon, 2010/08/13 at the Bad Doberan festival grounds. UniMuta: I know that you performed at the Zappa Conference in Paris in 2008 and that you will be sharing the bill with the Xtra Xtra Orchestra in June. Do you often have the opportunity to perform your Zapmospheres in concert? LiLo : No, since the Zappa Conference in Paris I haven't played live. UniMuta: I am listening to the tracks that you have put up your MySpace page right now (http://www.myspace.com/lilosolo). They sound great. Do you still have the intention to release them on album? LiLo : Thank you. Yes, I have a master ready to go. Didier from "Les Fils de l'Invention" told me he was in touch with a german company that could be interested... We'll try to make it more concrete this summer. UniMuta: Can you tell me a bit about your musical activities? What other music do you play? Are you involved in other bands or projects? LiLo : Well, I lost a couple of years with two projects that didn't make it... Now, my main activities are focused on my band "Later that night..." (www.myspace.com/around1am) a classic-rock band (well, not that classic....) with an incredibly gifted young female singer-guitarist (Jessie Lee). I write all the music and lyrics and, of course play guitar ^^. We recorded a self-produced album and are now making our first gigs around Paris. UniMuta: Talking gear... I love your guitar tone. What guitar do you play on, and which effects do you use? Do you use a loop system as well? UniMuta: And on August the 13th, you will be opening the Zappanale festival on the main stage at the festival ground. How do you feel about it? LiLo : Well, it's an honour for me that Thomas Dippel chose me after listening to my Zapmospheres tracks. It will be a pleasure ! UniMuta: Are you familiar with Zappanale. Have you visited the festival already? LiLo : No, it will be my first time. UniMuta: Have you seen this year's line-up? Are there bands that you want to check out? LiLo : I'm really curious to see all those bands from all over the world, and I'm really excited to see, ( and I hope to meet, or even jam with... :-) all the former musicians of Frank Zappa ! LiLo will be performing on the main stage at 12.00 h on friday 2010 08 13. I'll be there, and so should you. "Ahmed Abdullah worked with Sun Ra, on and off, from 1975 until the latter's departure in 1993. Ahmed continued with the Arkestra until 1997, first under the direction of John Gilmore (93-95), then under Marshall Allen (95-97). His experiences with Sun Ra include participation in well over 25 recordings, extensive travel around the world, and numerous club engagements throughout the United States. In 1998, Ahmed Abdullah formed the Sun Ra All-Star Project in an effort to feature many of Sun Ra's former collaborators, while also allowing more musicians opportunity to perform Sun Ra's music. 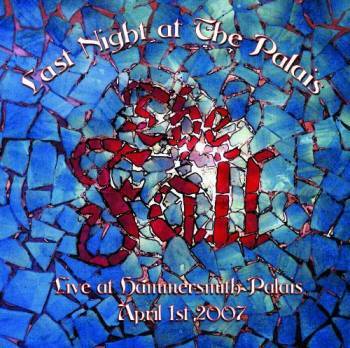 In February 2000, the first Satellites of the Sun Festival was produced by Abdullah at Sistas' Place in Brooklyn. The Festival, an annual event corresponding to Black History Month, presents band leaders who worked with Sun Ra and who tend to include in their repertoire selections from Sun Ra's original compositions. The objective of the Festival is to showcase the fact that Sun Ra has indeed influenced many highly talented musicians. Since February 2001, Ahmed began teaching a Sun Ra Ensemble class at New School University. This course has successfully introduced a number of young musicians to the music, philosophy, lyrics and poetry of Sun Ra." A little while ago, The New School University Sun Ra Ensemble was featured on WBAI radio. So I've made an entry for Ahmed Abdullah in te United Mutations Archives, including a discography, and data for a concert of Ahmed Abdullah's Solomonic Quintet at the 1993 Leverkusener Jazztage that I recently picked up at DimeADozen. Crossfire Publications is back already. This time with volume 4 and 5 of "Paul Buff Presents The Pal And Original Sound Studio Archives", plus a "Demos And Rarities" album by The Buff Organization. Again, with extended liner notes. The albums are available through CDBaby. Download only. Various Artists: Paul Buff Presents The Pal And Original Sound Studio Archives, Vol. 4. Various Artists: Paul Buff Presents The Pal And Original Sound Studio Archives, Vol. 5. The Buff Organization: Demos & Rarities, Vol. 1. The latest FZ audio documentary project/object arrived at United Mutations HQ today. "Cruising With Ruben & The Jets", original 1968 vinyl stereo mix, mastered by Doug Sax with Sunn Nam makes up tracks 1 to 13. Track 14, 15 and 16 (Jelly Roll Gum Drop, No No No & Stuff Up The Cracks) are alternate mixes. Track 18 (Valerie) is an alternate version, recorded during the Money sessions. BEAUTIFUL!!! 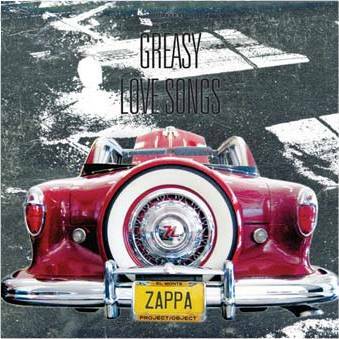 Paul Buff is releasing his Cucamonga era material through Crossfire Publications, and now we've got this superb "Greasy Love Songs" release from the ZFT. This is stuff from over 40 years ago! The Fall performed (and recorded) Zappa's 'Hungry Freaks Daddy'!! concert is Free and open to the public! merely to earn a dollar. What a sad, outrageous waste of life. Around Angel Island in San Francisco Bay. I have escaped your hate-filled offices. The Foolz will be sharing the bill with The Bottles for a concert in Apeldoorn, The Netherlands on May 7, 2010. It'll all be happening at the 'Bluescafé'. The Foolz are a Dutch Zappa (re)coverband. The Bottles are also not afraid of performing a Zappa song. Finnish musician and composer Jimi Tenor's real name is Lassi Lehto. He was born in Lahti, Finland in 1965. Jimi Tenor's main instruments are the sax and the flute, but he's also into electronics and percussion. He has explored rock, soul, lounge and big band music and afrojazz. Tony Allen, on the other hand, is a Nigerian drummer who was born in Lagos, Nigeria in 1940. He moved to Paris in 1980 and is currently living in Paris. Best known for his work with Fela Kuti, Tony Allen is considered the founder of the afrobeat genre. "Inspiration Information" is a series of releases by the Strut Record label where they ask musicians from different musical cultures to go in the studio and to record together. 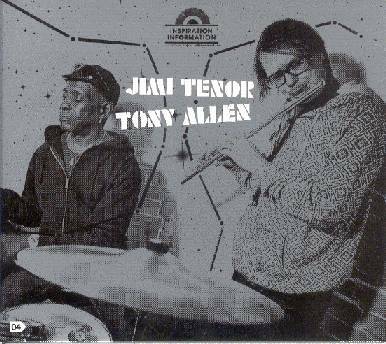 Jimi Tenor and Tony Allen took the challenge and the result can be heard on "Inspiration Information 4". As you can imagine, "Inspiration Information 4" turned out fine. The music is a mixture of funk and jazz with energizing african rhytms. Jimi Tenor and Tony Allen's "Inspiration Information 4" is an impressive album. It has great melodies, excellent arrangements (love those different layers!! ), and fine improvisations. Italian septet Slivovitz recently released their second album on Moonjune Records. "Hubris" kicks off with 'Zorn A Surriento'. I don't have a clue of what the title means, but this sure is a great way to open an album. It's a jazzy tune, with southern european and balkan influences. It has a playful melody that is doubled by sax and violin. The tone is set. "Hubris" counts 12 pieces and due to the rich instrumentation and the beautiful compositions, they're all a joy to listen to. There's a lot of variation, there's lots of surprises and some great solos. The album has been going in and out of my CD player the last couple of days and I can only conclude that I keep enjoying it. This is jazz-rock at its best. 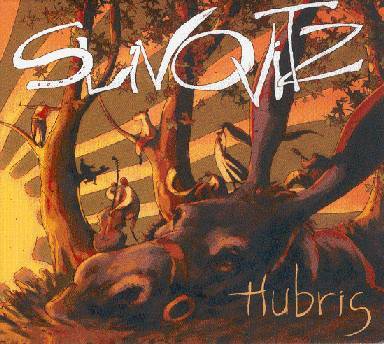 Obviously influenced by Frank Zappa and by John Zorn, "Hubris" is an album that you should definitely hear. 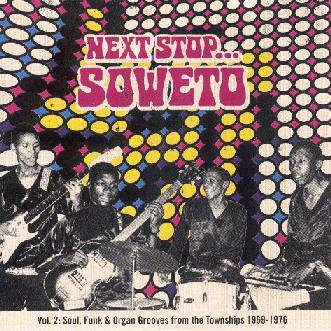 Strut Records has released the second volume of "Next Stop... Soweto". The "Next Stop... Soweto" series will eventually count three volumes and is focusing on the music that was produced in the townships from 1969 up until 1976. The first volume was all about jive music. This second volume focuses on soul, funk and organ music, while the third volume will be about jazz. The series is the result of several years of research and vinyl archeology in South Africa by compilers Duncan Brooker and Francis Gooding. "Next Stop Soweto... Vol.2" presents 'feel-good' music. Not hard to imagine as it served as a contrast to the every day life in the townships. Previously available only on 7"s in the townships of South Africa, this music can now, finally, reach a larger audience. Get your Hammond organ and jam along !! 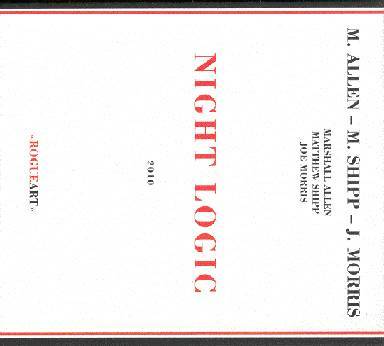 The French Rogue Art record label is releasing an album by Marshall Allen, Matthew Shipp and Joe Morris entitled "Night Logic". 40th anniversary of "Live at the Fillmore East"
Barry Cleveland is best known for his experimental guitar playing. He has recorded playing a viola/guitar hybrid (that one can play with a bow! ), as well as with a Moog-guitar. This does, however, not overshadow the fact that he is an fine musician and composer. On "Hologramatron", his 5th release, he combines rock, folk and psychedelic elements. The result is pretty impressive, and not in the least because of the bunch of musicians that Cleveland has gathered around him. Especially Michael Manring (bass) and Amy X Neuburg (vocals) take the album to the another level. I like this. And Barry Cleveland isn't afraid of spreading a social or political message either. 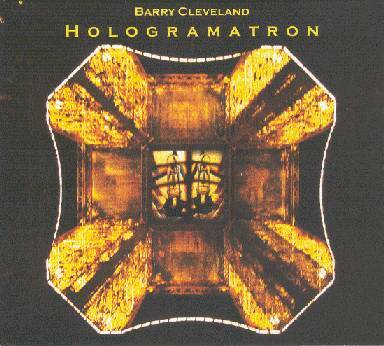 "Hologramatron" is a fine progressive rock album. Recommended listening. I enjoyed every minute of it. Tomorrow night on German radio: George Duke in concert. As you can tell, I've pasted a link to the Zappanale festival page on the right. 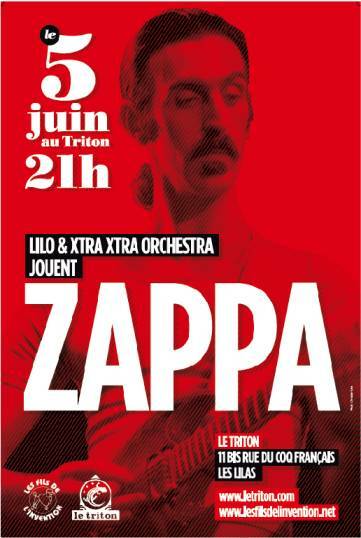 Saturday, june 5, 2010, guitar player Lilo and the Xtra Xtra Orchestra are sharing the bill for a concert at Le Triton in Les Lilas, Paris, France. Saying that this new series by Crossfire Publications is of historical value, is an understatement. I've been cutting and pasting the various pieces of info (all taken from Greg Russo's liner notes) into the United Mutations Archives all day. If you have additional info on any of the featured artists, don't hesitate to send it. All the material is available from CDBaby, iTunes, and the likes. Various Artists: Paul Buff Presents The Pal And Original Sound Studio Archives, Vol. 1. Various Artists: Paul Buff Presents The Pal And Original Sound Studio Archives, Vol. 2. Various Artists: Paul Buff Presents The Pal And Original Sound Studio Archives, Vol. 3. While working at his PAL studio, Paul Buff and his wife Allison recorded a lot of material as The Buff Organization. Only one single got actually released. "Studio A" is the album that they wanted to release, but never got around to. "Mono Mixes" is a collection of edits meant for radio promo. Both albums are part of the collection that Crossfire Publications is releasing. They're download only, and available from CDBaby, iTunes and more. Tracklists and liner notes have been added to the United Mutations Archives. The Buff Organization: Studio 'A'. The Buff Organization: Mono Mixes.